The Department for Communities and Local Government commissioned 6 London Boroughs and ALEHM to investigate an emerging and rapid expansion of a landlord business model which places vulnerable tenants in sub-standard, converted, small, family properties, marketed to give the illusion of self-contained flats, in order to secure the maximum level of housing benefit payments which are paid on behalf of tenants, direct to the landlords. 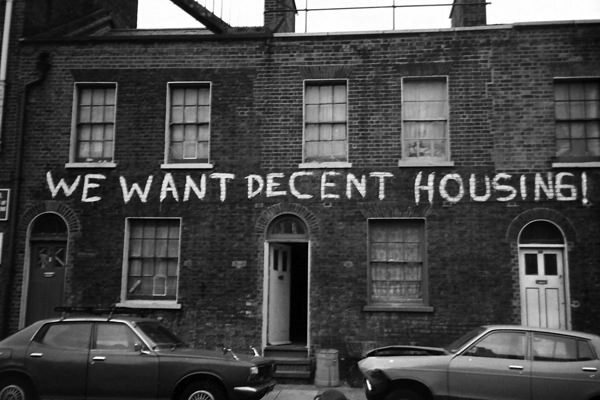 The model abuses legal exemptions and the lack of clarity in environmental health, planning and housing benefit rules, to avoid detection and is resulting in widespread abuse of public funds, as well as housing tenants in poor and sometimes dangerous accommodation. This project is named “London Lockdown”. Gathering and analysis of data provided by partners to identify the worst landlords and enable cross border focused enforcement. 400 premises targeted for assessment, enforcement and intelligence data transfer, to identify the most serious offenders and recover public funds through proceeds of crime. Critical analysis of findings to produce learning briefing colleagues across the country for use throughout UK. Suspected rogue landlord properties targetted for assessment and intervention. ALEHM has acted as project management lead, liaising with each participating authority to keep on target and pull together information centrally to achieve the wider aims of the project, to provide recommendations on how to prevent further spread of the business model, as well as bringing all substandard properties up to legal compliance. The investigation has used intelligence data from local authority records to identify and inspect suspected properties and take enforcement action to rectify non-compliance with a range of legislation. Data from participating councils is then referred to intelligence officers working on behalf of the project, with a view to investigating the extent of organised criminal activity, aiming to prosecute multi-borough rogue landlords. The project should achieve better protection for housing charities and homelessness teams whose vulnerable clients are being targeted. provide sufficient background to enable action to be taken to recover the associated proceeds of crime. As a specific outcome, the project will aim to critically analyse its work and produce a briefing to disseminate any learning for sharing with colleagues across the country, as rising property costs price London from the market and new areas are targeted. For more information about this project contact Carlene Thomas. ALEHM have successfully delivered a variety of services and projects in support of Londoners. Can we help to deliver the outcomes that you need?